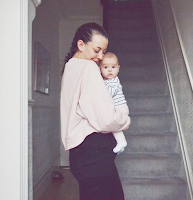 Tweet is a fashion, beauty, parenting and lifestyle blog based in Manchester written by Clare, a 30 something mama who works in marketing by day and is a blogger by night. I have returned home from an amazing long weekend in Rome, I had the most fun. The people on the trip consisted of me, my boyfriend Chris, our housemates Clare and Graeme and three of his friends (now our friends too) Jim, John and Chris. Along the way we picked up various new additions to our gang including Katie, an american with a brilliant sense of direction, Tanille, named after Captain and Tanille and a variety of loud, drunk Americans. The Colosseum also saw the brilliance that is DO A FACE. Which is a game (of sorts) where you shout 'do a face' and take a photo. The results are fantastic. The Sistine Chapel was amazing but sadly you're not allowed to photos, boooo on them. We did enjoy a lovely group hug in there though. All in all a brilliant trip that I'll remember forever. Hoorah! how come i cant follow your blog? I'd love to hear your thoughts and hear about your blog, feel free to leave a link so I can comment back. By day I work in online marketing in the fashion and beauty world, by night I'm a blogger based in the lovely city of Manchester. I blog about fashion, beauty, photography, food, pretty much everything really! If you're interested in advertising or featuring your brand on my blog, just drop me an email on iliketweet@gmail.com. © Tweet. All rights reserved.